Prairie AquaTech is a technology company based in Brookings, South Dakota that is improving animal health and nutrition by providing high quality feed ingredients. 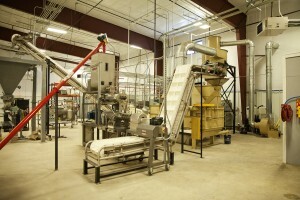 Using patent-pending technologies licensed on a worldwide, exclusive basis from South Dakota State University and developed internally, the Company is upgrading sustainable, plant-based commodities, such as soybean meal and distillers grain, to high quality ingredients used in aquaculture and other animal feeds. Prairie AquaTech Proteins™ have been independently tested as superior products to other protein ingredients currently being used by animal feed manufacturers and producers, which will help secure the world’s food supply. The world reached an inflection point in the production of animal-based protein in 2010 when aquaculture, or fish production, exceeded beef production in millions of tons produced globally. This inflection point is attributable to changes in consumer preference and the demand for higher quality food. Fishmeal, or dried and ground pelagic fish and fish waste, is the most important feed ingredient used in aquaculture, which represents up to half or more of a producer’s total operating costs. The importance of fishmeal to both animals and humans is due to its protein content of ∼65% and its amino acid profile, supporting nutrient use and growth. However, as a limited resource, fishmeal supply has been the same or declining for decades, which does not support the significant increase in demand due to aquaculture. Therefore, the price of this ingredient has recently increased to more than $2,400 per metric ton. Prairie AquaTech Proteins™ solve the challenges inherent in other ingredients by matching the protein content of fish meal with a supportive amino acid profile, and eliminating the anti-nutritional factors that inhibit digestibility. Independent feeding trials in multiple fish species, young pigs, poultry and dairy calves have demonstrated superior performance in digestibility, growth, waste production and general health. Prairie AquaTech Proteins™ are produced using a cost-effective, patent-pending process to upgrade the protein of sustainable, plant-based commodities, such as soybean meal and distillers grain, and secure a majority of the difference in market value to fishmeal. 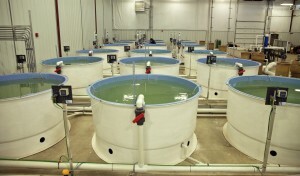 Prairie AquaTech operates a 30,000 square foot pilot scale facility in Brookings, South Dakota, which provides the infrastructure required to scale agricultural technologies invented in research institutions around the world and build operating companies in rural communities close to the source of natural resources, such as soybeans and corn. Prairie AquaTech opened the AgTech Center in October 2014 and configured the facility to accomplish its objective of introducing multiple products to the market, with 15,000 square feet of bio-processing and feed manufacturing space, 8,000 square feet of aquaculture product testing space for salmon, trout, perch, sea bass and shrimp, and 7,000 square feet of analytical testing and administration space.